If you're looking to dabble in VR using the smartphone you've already paid for, instead of spending over a $1250 on an Oculus Rift or HTC Vive setup, Google Cardboard is a great affordable alternative. 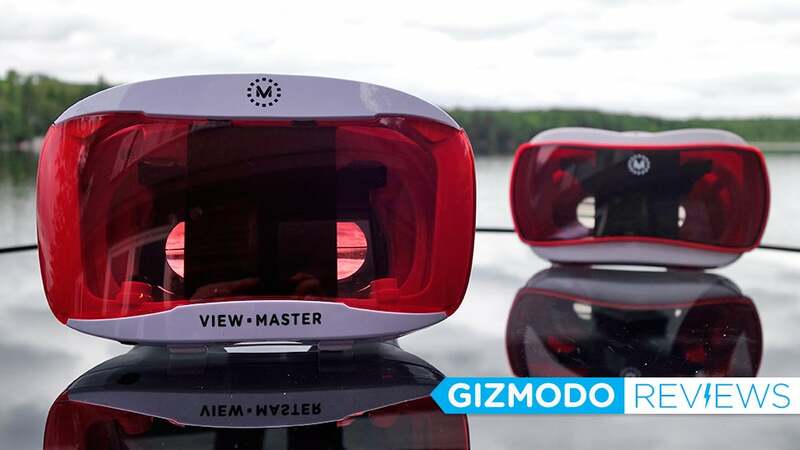 But why spend $20 on some folded cardboard when for $50 you can get Mattel's upgraded View-Master VR that's more comfortable, more secure, and is compatible with a wider range of devices. Early last year Mattel revealed that it was working with Google to revive and update the classic View-Master toy, turning it into a kid-proof alternative to Google Cardboard for enjoying virtual reality content on a smartphone. The new hardware did away with the View-Master discs, but you were still able to click through your own private world using VR apps and online content. 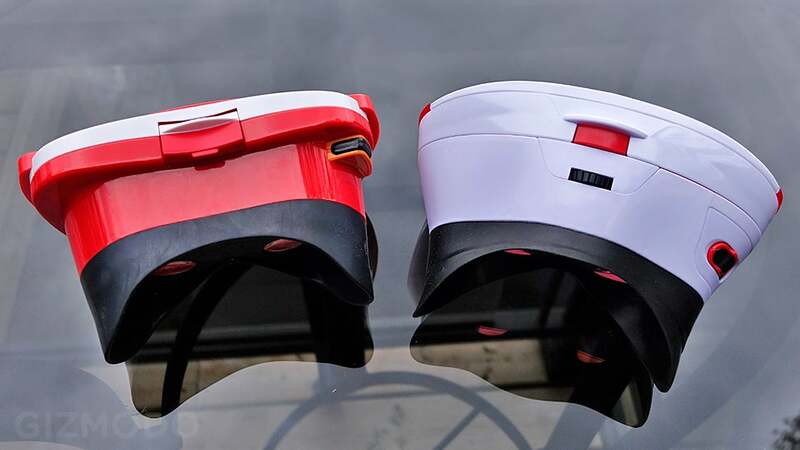 The original View-Master VR (left) next to the new View-Master VR 2.0 (right) showing the improved locking mechanism. It was a clever pivot for the classic toy, however, if you bought the original View-Master VR, or ever had a chance to play with one, you probably immediately noticed its pitfall: The latch mechanism that was supposed to keep the viewer closed never really worked. 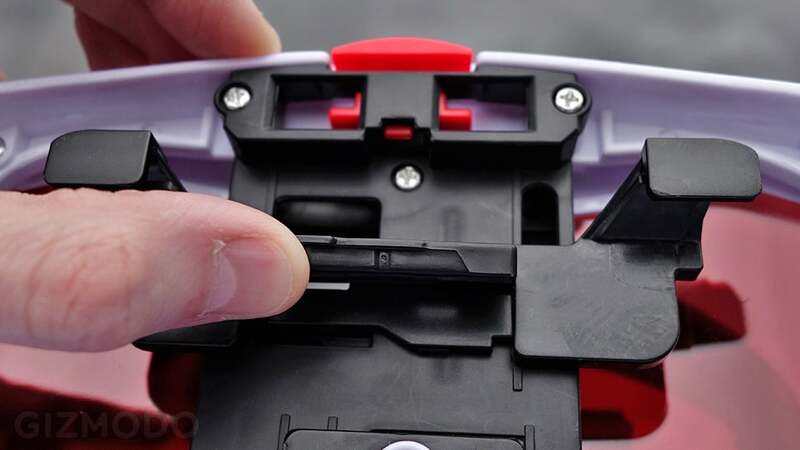 The double-pivot design of the original View-Master VR's hinge, which allowed the viewer to open wide so you could place your smartphone inside, caused the simple flip down latch on top to constantly pop open as you handled the viewer. It was a frustrating design flaw that made the viewer hard to use because it would just keep popping open while you held it against your face, and worse, it also put your smartphone at risk of falling out. 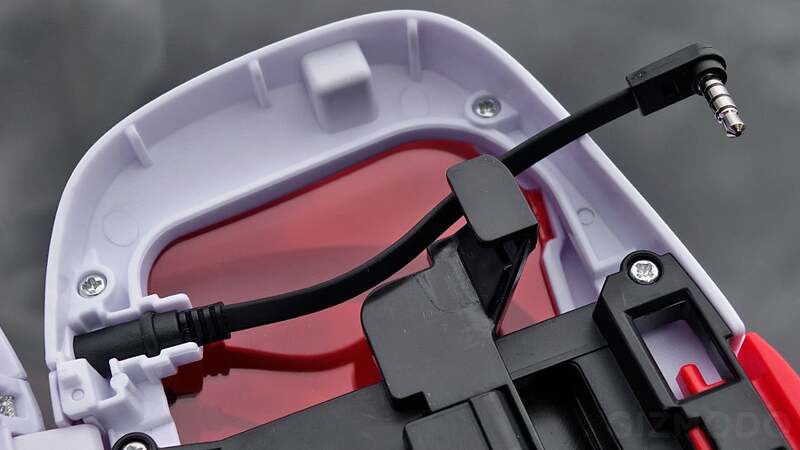 The View-Master VR 2.0's locking mechanism all but guarantees the viewer isn't going to accidentally pop open. 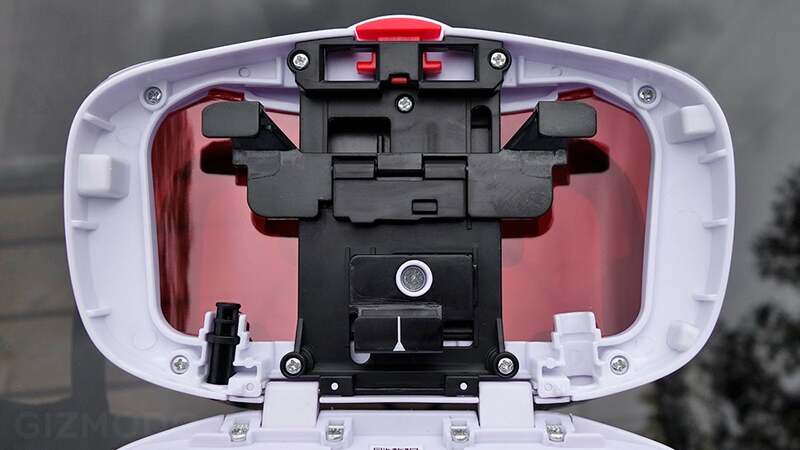 With the new View-Master Deluxe VR, Mattel has completely redesigned the viewer's locking mechanism with a push-button release that won't accidentally pop open. I tried bumping, yanking, squeezing, and shaking the viewer, and the locking mechanism held the View-Master Deluxe VR securely shut through it all. The release button on top is even protected with a raised piece of plastic so that your fingers won't accidentally press it while you're holding the viewer against your face. Minor focus adjustments are now possible on the new View-Master VR using a simple dial on top. Next to that red release button you'll also find a new black focus dial. Turning it back and forth shifts the viewer's lenses forwards and back, with about a half-inch of movement. That doesn't seem like much, but it's enough to bring the image in and out of focus, allowing you to dial in the sharpest picture possible. That dial also means the viewer now accommodates people whose eyesight might require a focus tweak — something other Cardboard headsets can't do. 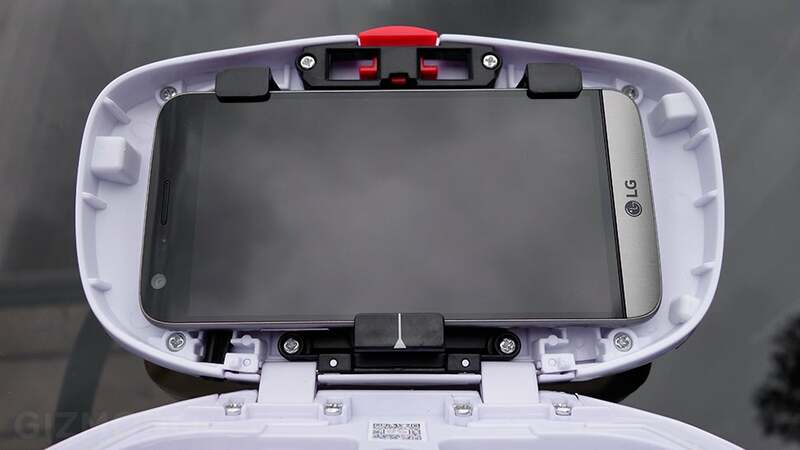 There is zero chance your smartphone is going to fall out of this spring-loaded clamping mechanism. Inside the View-Master Deluxe VR you'll find a spring-loaded clamping mechanism which is designed to securely hold a wide variety of smartphones, including some of larger devices that have regrettably become popular as of late. The LG G5 easily squeezes inside the new updated View-Master. Here's the 13cm LG G5 placed inside the View-Master Deluxe VR's clamp. The smartphone's not quite as large as something like the iPhone 6s Plus, but it's a hefty device, and still easily fits inside the viewer with room to spare if your hardware is even larger. A built-in adaptor accommodates smaller smartphones like the iPhone 5. To accommodate smaller phones like the iPhone 5, the original View-Master VR included an optional adaptor you could attach to your phone before placing it inside. 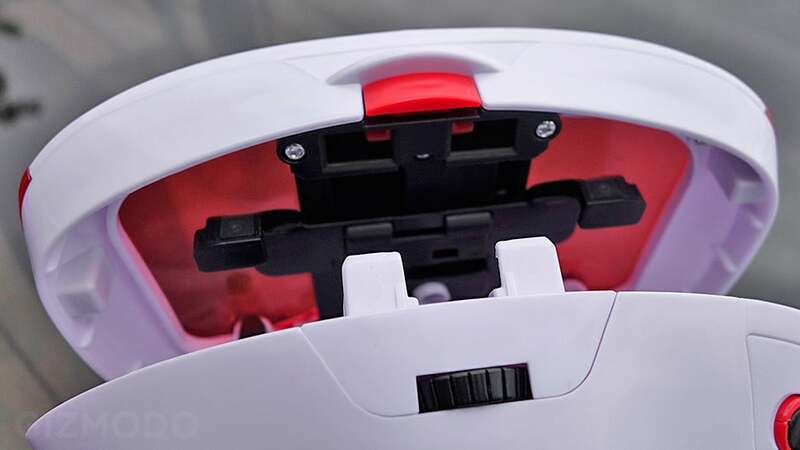 It was easy to lose, however, so this time around Mattel has built a spring-loaded adaptor directly into the View-Master Deluxe VR's clamp. Just pop it up, place your smaller smartphone inside, and it will be held just as securely as a hulking device. An included headphone adaptor cable finally lets you connect headphones while using the new View-Master. Mattel has also improved how the new view handles audio. 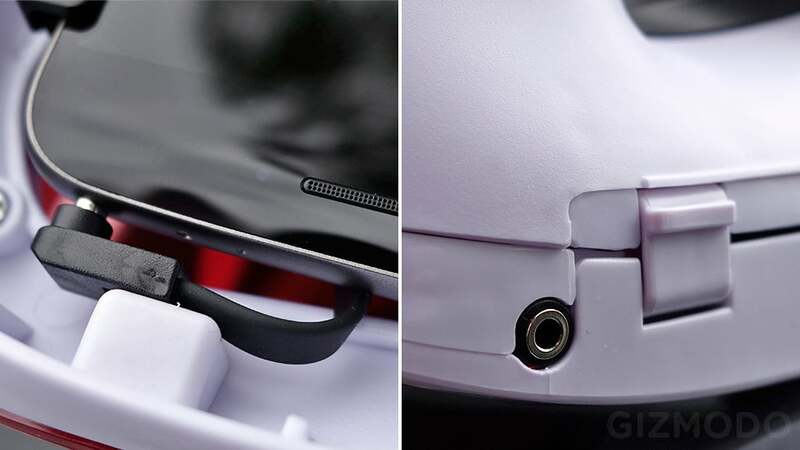 The original version held your smartphone inside its plastic housing, which meant if you wanted to hear what was happening in a VR video or VR app, you had to turn your smartphone's speaker up to hear it through the housing, or use wireless Bluetooth headphones. Let's hope Apple doesn't switch to Lightning headphones. 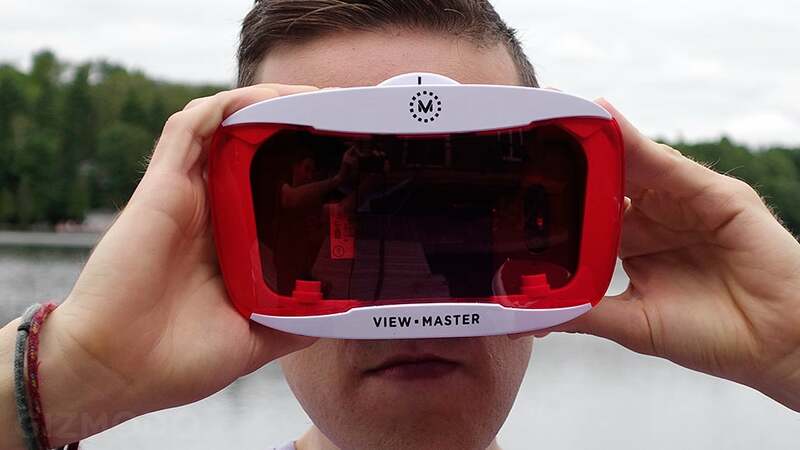 The new View-Master Deluxe VR includes an audio adaptor cable that can be connected to either side of the viewer to accommodate headphone jacks located on the top or bottom of a smartphone. Let's hope the next iPhone doesn't eliminate the headphone jack like the new Moto Z has. But wireless headphones are still an option if that happens. Still no head strap, but at least your arms will get a great workout. So what's missing? Not much. For $US40 Mattel has struck a solid balance between features, functionality, usability, and fixing everything wrong with the original View-Master VR. Unfortunately, the device doesn't ship with a headstrap so you can't play more involved VR games. But for laid-back VR experiences, like watching Cardboard-compatible videos on YouTube, the $US40 new View-Master Deluxe VR is a straight-up bargain. It's not the cheapest or lightest viewer. If you don't mind sticking your smartphone into something made of paper you can get a VR headset for as little as $20. It's not the fanciest or most feature-packed, either. Zeiss will happily sell you a smartphone headset for $US120. But for the price, Mattel's new View-Master Deluxe VR viewer is easily the best Cardboard viewer you can buy — if you can wait until it's available in October. 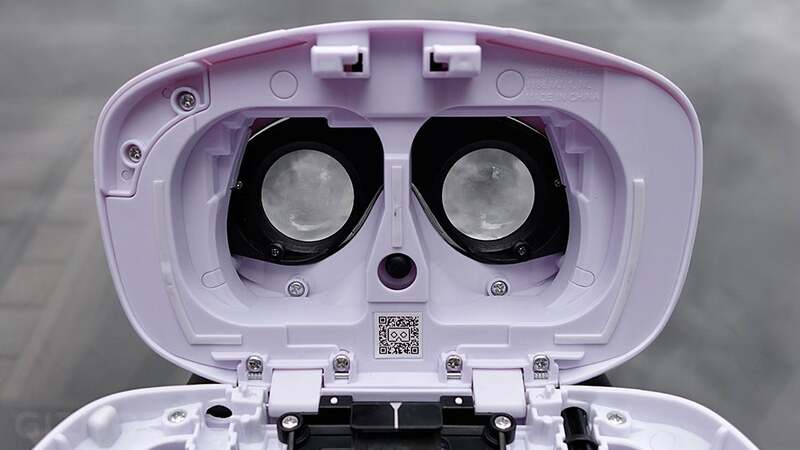 Mattel has fixed the major shortcomings of the original View-Master VR, including the unreliable locking mechanism, the smartphone clamp inside, and the lack of headphone connectivity. The ability to finally adjust the position of the View-Master Deluxe VR's lenses and tweak the focus will make the upgraded viewer accessible to even more users. At $US40 it will be more expensive than the original View-Master VR, but the improvements still make this one of the best bargains you'll find among Google Cardboard viewers. Still no head strap option? I use my arms all day at work, at night they deserve a break. The View-Master Deluxe VR weighs about the same as the original version, but since it's made from plastic it's definitely heavier than a cardboard headset.